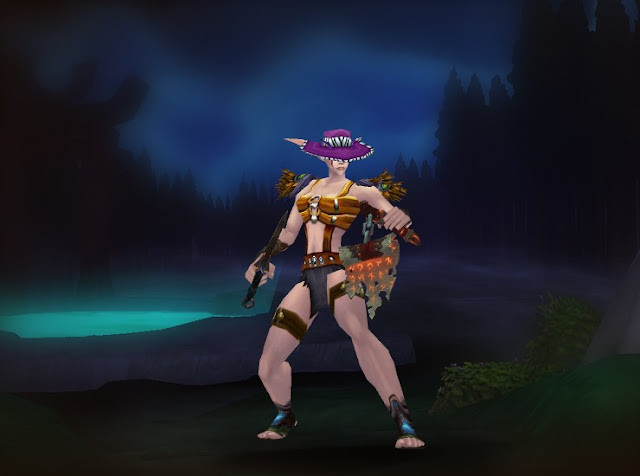 Warcraft Looks: Druid Mogging Outfit - "Shut Yo' Mouth!" I ran across this druid sporting a very unconventional mogging outfit. I call this one the "Shut Yo' Mouth!". Who says plate-wearers get to show all the skin! Head past the jump for a full transmog loot list.